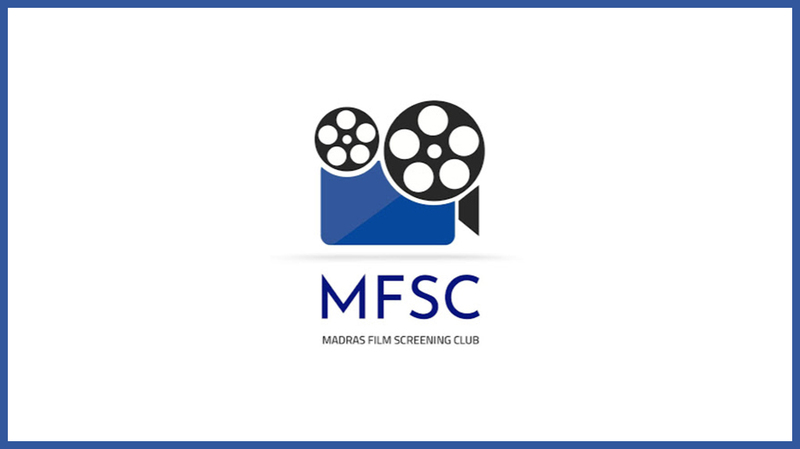 Madras Film Screening Club is a film society based in Chennai, India. We spoke to them about their motivations, and what they hope to do. The World of Apu: Tell us a little about the team behind Madras Film Screening Club, and your origin story! 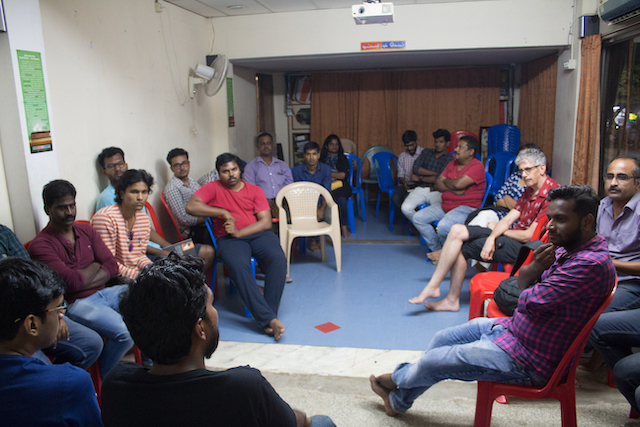 Madras Film Screening Club: Madras Film Screening Club is a thirteen member team. It started off over a group chat on WhatsApp, in fact, none of us had known each other before joining the group. We used to discuss films and we chose one film every weekend for this purpose. This had been going on for a few months, and one of us said why don’t we take this idea to an offline space in the form of a film society. It sounded like a really exciting idea as most of us were frustrated about the lack of a physical space to talk about films. There were just the online forums. We began discussing cinema among ourselves, more seriously. We then talked to Anand Siga, founder of Konangal Film Society, for guidance on organising these screenings—none of us had any clue as to how to structure these events! His words helped us a lot, he gave us the confidence to dive deep into organising our first screening. We wanted to see how the response was, so we took it one screening at a time. Alfred Hitchcock’s Spellbound was our first film. And that’s how MFSC started. TWoA: How many people usually turn up for a screening? Do you have post-film discussions? MFSC: We typically have 40-45 people show up for our screenings. And, yes, we do have post-film discussions. In fact, that was one of the first decisions we took when we started the club. It was really important for us that people initiate a conversation over the film. TWoA: What is your typical audience like? MFSC: People from all walks of life: from vis-com students to people who have just started exploring cinema. It’s a diverse group of people. It helps that we don’t charge any entry fees for our screenings. We have always wanted to create a democratic space. This is evident in our discussions as well, where every person has an opportunity to speak. Even when the discussion turns towards the technical aspect of filmmaking, they remain accessible to all. We don’t invite any chief guests for our screenings. TWoA: What kind of films bring the most number of people? MFSC: This is a tough question to answer. Generally, popular films bring the most number of people. But sometimes, we choose (what we think is) a little known film, anticipating a smaller crowd. We have been surprised. This has happened a few times. It’s hard to pinpoint one kind of film. We want a sizeable audience regardless of the popularity or genre of the film. There is so much to appreciate and learn, in spite of how challenging a film may be. Our recent initiative “Blind Date” attempts to create the right kind of atmosphere for film appreciation. We have been observing a change… The last 10-12 screenings had a full house! TWoA: Do you try to screen regional films that you think deserved more time in the theatres? MFSC: As we are industry outsiders, it has been difficult to gain access to filmmakers and obtain permission to screen their films. We have only been able to screen short films made by local filmmakers. As we grow in reach and visibility, we hope to include more regional cinema. TWoA: What is the process behind selecting which movies to screen? What steps do you take to ensure you move beyond your biases? MFSC: There isn’t any defined process to how we select our films. Members of our core team take turns in selecting a movie for every screening so that we don’t repeat ourselves with respect to genre. Each one of us is aligned towards a particular type of cinema. That helps us to not stay biased towards a particular type of cinema. Often, film societies stick to the so-called ‘art house cinema’ and this drives away most people. We don’t believe in those definitions and our film selections reflect that. We take care that the kind of films we choose should spark off a discussion. TWoA: We know Chennai has a loyal movie going culture, and it’s notoriously difficult to get tickets. But is there a vibrant film society scene in Chennai? MFSC: The film society scene is still a very nascent space in the city, a niche occupied by the most ardent of cinephiles. 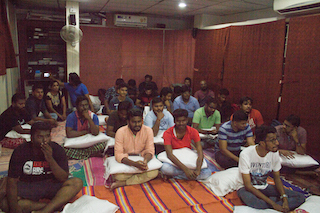 Unlike Kolkata, there has never been any kind of film society movement in Chennai in the past. This is unfortunate! But it’s slowly changing. We have noticed a lot more film societies opening up in the city in the last 2-3 years. TWoA: What is the biggest challenge you currently face? MFSC: The problems that every film society faces. Financial sustainability and lack of access to bigger venues. Thanks to Senthil for facilitating this interview. All pictures belong to MFSC.